In its heyday, Battlestar Galactica was garnishing rave reviews. It was one of the best shows on television, from the writing to the cast fans were treated to spectacular episodes. So why not take the chance to give the fans something new, but still relevant to the Galactica mythos. That’s where Caprica came along, there was an existing fanbase that the studio could tap into and be almost guaranteed an instant viewership. Unfortunately spinoffs don’t always live up to the hype or are simply not as good as the original series. 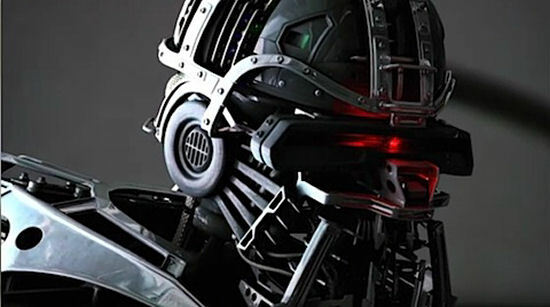 But with SyFy’s series Caprica, fans were fortunate that the production team behind Battlestar Galactica were involved to ensure that their new series was just as good as the show it was spun off from. Set 58 years before the fall of the 12 Colonies, Caprica is a prequel that explores the events that led to the destruction of humanity. It’s the story of two families, the Graystones and the Adamas, and how they deal with a tragedy that influences the events that lead to the creation of the Cylons. Two families that influence the path that humanity takes in the creation of artificial intelligence. Caprica is more similar to its predecessor then many would believe. It’s all about the characters and the story. Caprica focuses on the families of Joseph Adama, played by Esai Morales, and Daniel Graystone, played by Eric Stolz. Yes, the same Joseph Adama that is father to Galactica’s Captain William Adama and just like his son, Joseph is a man with flaws. An immigrant from Tauron, Adama finds a home on Caprica and works his way up the social ladder as a lawyer. Unfortunately his ties to home run too deep and he finds himself in bed with Tauron organized crime, of which his brother is deeply involved in. One thing that was extremely interesting was the deep look into the divide between the Colonies and its people. Throughout the series we get a real sense of the arrogance of Capricans and their discriminatory outlook on people from other planets. On the other side of the coin there’s Daniel Graystone, the head of one of the biggest corporations within the 12 Colonies. A brilliant scientist, he’s the mastermind behind a robotic soldier for the Caprican military, a soldier that eventually becomes the Cylon and the destroyer of humanity. Unfortunately tragedy befalls on the Adama and Graystone families when a religious zealot performs a suicide bombing on a train within Caprica City, killing hundreds. The victims include Graystone’s daughter, Zoe, and Adama’s wife and daughter. Unbeknown to Graystone, his daughter Zoe is a computer genius and has managed to deposit her consciousness within a virtual world. It’s Graystone’s ambitious attempt to transplant his daughters consciousness within one of his Cylons that was the focus of the series. What I particularly enjoy about the show is how Caprica is grounded in urban locales rather than in space, and focuses on corporate, political, familial, and personal intrigue, similar in approach to a Greek tragedy. With the troubled relationship between two breaking families at its center, the producers stated that it was supposed to be a futuristic soap opera akin to shows like Dallas and Falcon Crest. 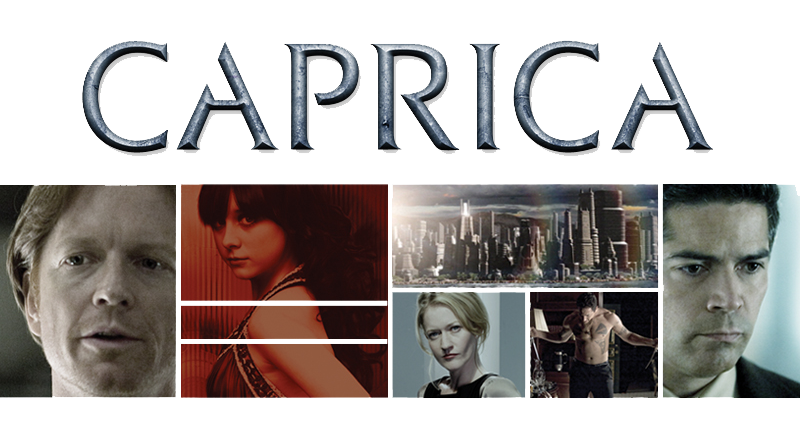 Caprica has a clean and polished look compared to its predecessor. It’s a world much like ours, with technology that wouldn’t look out of place in this day in age. Many of the costumes have a 1950’s feel to it, probably to evoke that the series takes place in the past and to also align it with a time of wonderment and the start of a technological boom. Caprica looks and feels like a society that integrates its progressive technology into a livable existence. At first there were a couple things that bothered me, but by the time the series ended most were explained. Stolz and Morales do an excellent job with their roles, bringing just the right amount of obsession and sympathy to their characters. Alessandra Torresani does a great job as Zoe Graystone and rounding out the cast is Paula Malcomson as Graystone, Daniel’s wife Amanda, Sasha Roiz as Adama’s brother Sam Adama and Sina Najafi as the young Bill Adama. The entire cast put in an excellent effort and must be commended for their work throughout the series. Overall, Caprica was very impressive. The inevitable exploration of the deeper themes that ran through Galactica, from family dynamics, religious fanaticism and racism made for an intriguing series. Yet one doesn’t need to be familiar with Battlestar Galactica in order to enjoy Caprica. It can easily stand on its own, offering a story that merely sets up events that occur in the future. There is enough introduced into the story to rule out any need of familiarizing viewers to Galactica. Thankfully in today’s age of consumption finding ways to watch Caprica is rather easy. You can always purchase the season DVD’s or blu-ray’s from retailers like Amazon, Target, etc. Or if you prefer you can always purchase digital versions through services like Amazon Instant or iTunes. It’s also available to watch through streaming services like Netflix and Amazon Prime.